“Incorporating businesswomen into global value chains” was the theme of the second annual WEConnect International Forum in Mexico, which took place at Guadalajara’s Hotel Crowne Plaza on Tuesday. 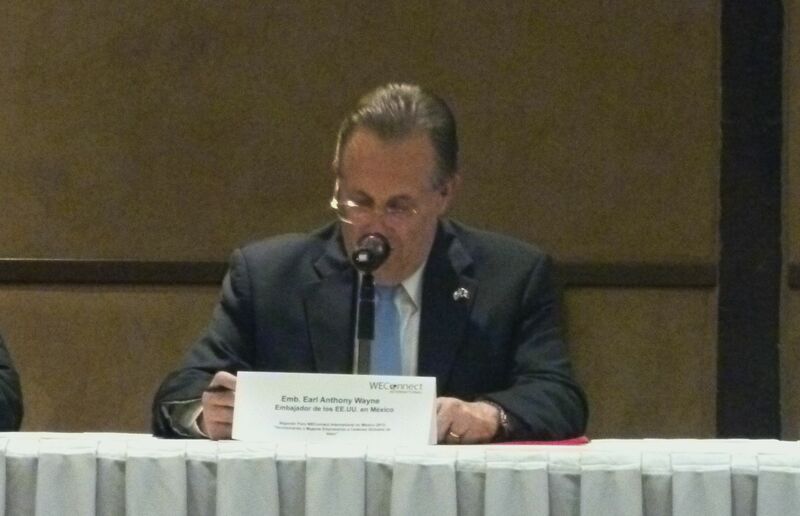 Participants included Earl Anthony Wayne, the U.S. 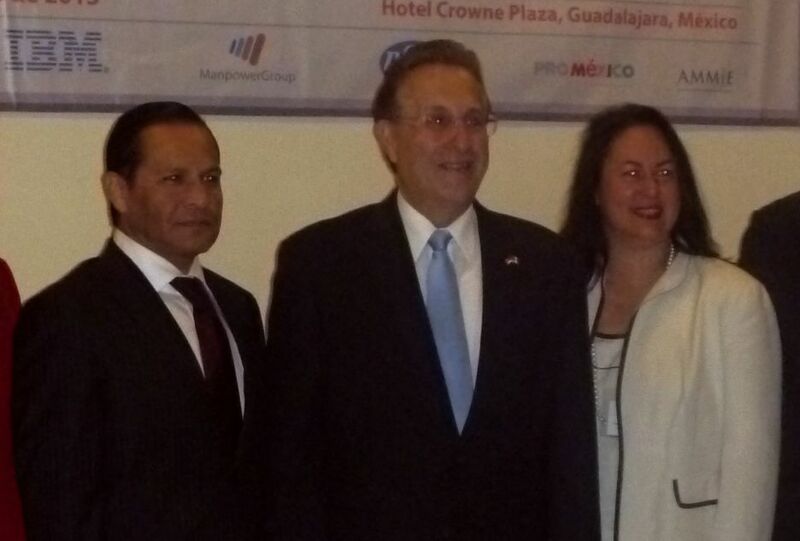 Ambassador to Mexico; Elizabeth Vazquez, CEO and co-founder of WEConnect; and Eduardo Almaguer Ramirez, Jalisco’s Labor Secretary. Founded in Washington, D.C. in 2009, WEConnect International is a non-profit organization supported by dozens of major multinational corporations, with the aim of empowering women in the world of business. It calls for women to be given more control – at least 51 percent, to be precise – in management and the decision-making processes in any business. Women comprise 51 percent of Mexico’s population, but only around four in ten working-age women participate in the national labor market. Of these, 65 percent are salaried workers, 23 percent are self employed, 10 percent receive no salary and only two percent are business owners. Furthermore, WEConnect says women in Mexico earn 17 percent less for working any given job than men employed in the same position. “As Hillary Clinton has said, investing in the potential of women and girls at a global level is one of the most secure paths toward achieving economic progress, political stability and greater prosperity for men and women in all the world,” Wayne said as he took the stage. “We know that when women earn more and have greater power in negotiations, they invest in education and health, resulting in long-term economic growth,” the ambassador added, in reference to studies that show women reinvest 90 percent of their income in their families – primarily in education, health and food. Jalisco took another step toward gender equality this week as the Legislative Commission on Equality and Gender approved a bill under which the state government will provide companies with incentives for hiring women from vulnerable sections of society. The commission will also analyze an initiative to curb violence against women and aid them in seeking political office, as well as allocating resources to be used to organize the Jalisco 2013 National Feminist Meeting in October. Asked in the subsequent press conference whether she felt Mexico was beginning to overcome the macho attitudes that have long confined women to certain roles in society, Vazquez, who was born in Guadalajara, told the Reporter, “My mother faced that (problem) very directly, so I’ve seen it very first hand. But having said that, I’ve met some really exceptional male business leaders here in Mexico. They genuinely care about the economic growth of their country and I think they recognize that they cannot afford to leave half the population behind. This is not about equality at all. It is about increasing female privilege. While Mr. Wayne utters platitudes about utilizing everyone, he fails to acknowledge the most fundamental fact of human society. Men perform. Women select. Thus, despite the appearance that men have most of the top positions, it is really just about women making them to the work to earn them.